"NCORP Tissue Procurement Protocol to Open at 12 Community Sites was originally published by the National Cancer Institute"
At 12 NCI Community Oncology Research Program (NCORP) sites across the United States, a new kind of study will soon be opening for patients with advanced malignancies being treated with molecularly targeted therapies. The NCORP Tissue Procurement Protocol (NCI 10231, NCT 03707574) is not a treatment trial, but a study to assess if researchers can obtain tissue and blood samples at baseline and upon progression in patients with advanced cancer being treated with molecularly targeted therapies — and to see if analysis of those samples will shed light on why cancer cells stop responding to treatment and what can be done when this happens. "One of the critical questions that cancer researchers face today is what are the mechanisms that make cancer cells resistant to therapy," explains study chair Fernanda Arnaldez, M.D., from NCI's Division of Cancer Treatment and Diagnosis. To study this, researchers need to be able to compare tissue samples from patients whose cancer has progressed after treatment to these same patients' samples obtained prior to starting therapy. "The ability to compare these matched tissue samples will help us see how the specific genes in a tumor sample affect the growth and spread of that tumor and if the treatment the patient is getting affects the genomic make-up of the tumor cells," says Arnaldez. While patients will not receive a specific treatment as part of the trial, a centralized laboratory will perform molecular profiling assays on matched tumor and blood to provide physicians and patients with a report from tumor obtained at baseline and upon progression that may be used to guide further treatment planning. As part of the NCORP Tissue Acquisition study, molecular profiling assays will be done on tumors from study participants. The researchers also hope to bank tumor tissues for possible studies in the future. 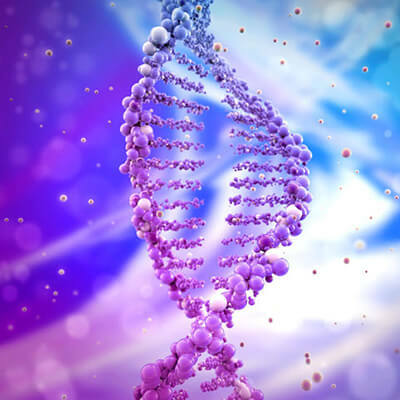 This study will help to inform the Cancer Moonshot Biobank?, a project within the NCI Cancer Moonshot initiative to collect tumor biopsy and blood biospecimens and associated data to help answer pressing questions in cancer research. Enrollment for the study should begin in April at a diverse set of NCORP sites. "This study is being carried out through NCORPs because NCORPs represent a real-world patient care experience," said Worta McCaskill-Stevens, M.D., NCORP Director in the NCI Division of Cancer Prevention. "This pilot study will hopefully lead to a much larger trial to investigate how cancer becomes treatment resistant on the molecular level."